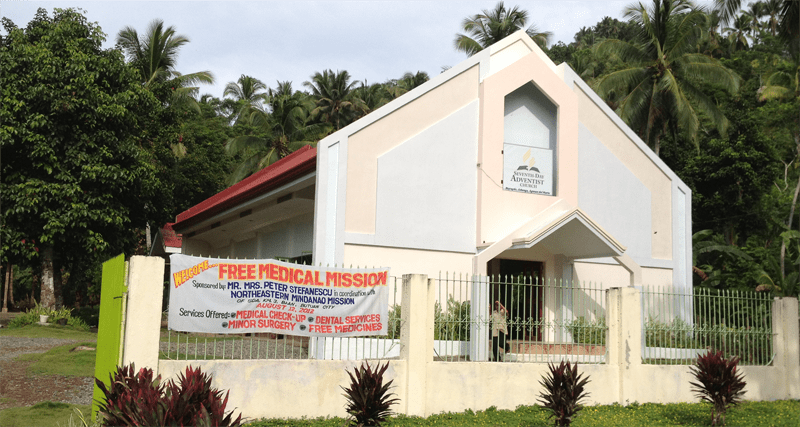 Jabonga, Butuan City – Mr. and Mrs. Peter Stefanescu in coordination with Northeastern Mindanao Mission’s Health Department sponsored a free clinic in Jabonga SDA Church last August 12, 2012. The services offered were general consultation, dental, minor surgery and free medicine. The said activity served to more than 100 people of different age group. The Health Department Director Pastor Nemrod Saramosing of Northeastern Mindanao Mission who supervised the free clinic, emphasized the program of creating “Every Seventh-day Adventist Church a Clinic.” This free clinic is a part of telling the world about many different community services that is sponsored by the Seventh-day Adventist Believers. Pastor Saramosing also expressed his thanks to the Medical Team and to the district members and Pastor Jaivic Buo and family of Jabonga, Santiago, Kitcharao District. For more pictures visit the Northeastern Mindanao Mission’s Facebook page.